More Detailed Places, short MDP aims to add more atmosphere to specific places. 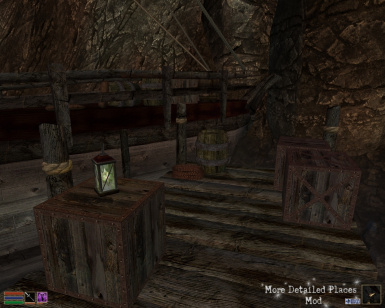 To make that happen it\'s adding more sceneric objects, but in the same time also tries to keep these small additions as close as possible to the original Morrowind style. 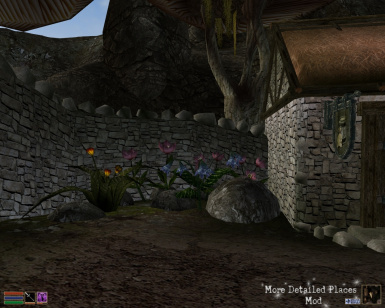 MDP isn\'t touching the places structual layout, NPCs hightmasp or textures in any way! More Detailed Places, short MDP aims to add more atmosphere to specific places. This is the fourth edition of it and it's all about Vvardenfells nothernmost town named Dagon Fel! 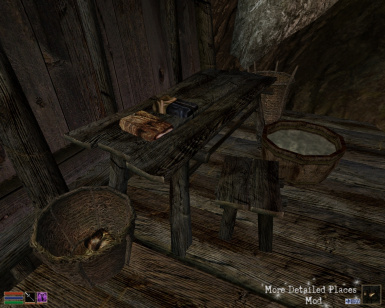 To make that happen it's adding more sceneric objects, but in the same time also tries to keep these small additions as close as possible to the original Morrowind style. 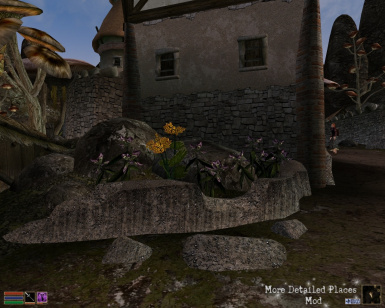 MDP isn't touching the places structual layout, NPCs, hightmaps or textures in any way, instead it simply makes them prettier and more detailed by placing in empty areas a lot of new vegetation, clutter, containers and so on. So on side note; this should also be compatible with nearly all mods, that add new buildings or whatever in the same location as MDP! 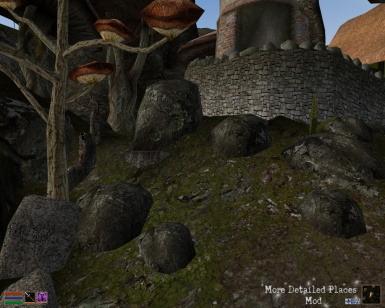 This mod requires just Morrowind. No expansions needed. I'm excited to get some feedback, so please leave comments!